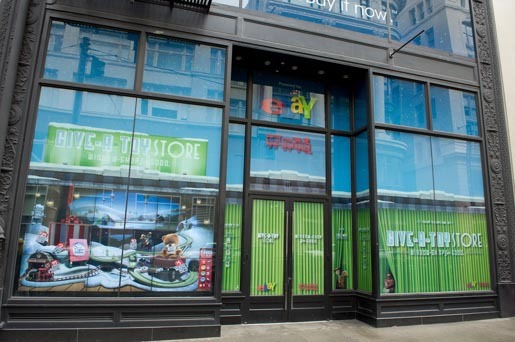 This Christmas, eBay has put up an interactive window installation in New York at 35th and Broadway and in San Francisco at 11Post St. to allow people to instantly donate toys on the spot. The interactive window shows a 3D Christmas scene with snowfall, train, gift box and toys. Each toy has a price tag with a QR code on it. People can scan the code using the eBay application and instantly donate the toy on the spot. The installation seems to have attracted a lot of people and the video above shares positive views by people who have interacted with it. One of the users mentioned that they could even change the scene in the window. It seems to be pretty engaging and wondering if they could have added some social elements to it including Facebook and Twitter to send information every time user scans or interacts with the installation using the eBay app, allowing users to share their experience online.